Irish Nachos: Because You Need Something to Go with Your Guinness! When I first joined #BundtaMonth, I thought I’d have problems coming up with reasons to bake a cake every month. I was wrong. I should have remembered: we like to party at work. Or eat, at least. Nobody ever turns down cake there. This month’s theme was tropical cakes, which fit in quite nicely with the beach-themed birthday celebration we had this week. Tropical flavors always make me think of sandy shores, dipping my toes in cerulean water with an icy drink in hand. And what will that drink probably have as an ingredient or adornment? Lime! I had to use it! I used to even have a sand castle shaped bundt pan. But, alas, that one is trashed now. It was silicone and it got gummy and I got tired of trying to scrub it clean when all it wanted to do was shake around like Jell-o. This fairy cottage cake is the next best thing–a Christmas gift from my husband, who has enthusiastically encouraged my cake-baking endeavor. Like I said, no one says no to cake. Preheat oven to 325 degrees and set the rack in the middle of the oven. Grease and flour well your bundt pan (or use baking spray) and set aside. In the bowl of a stand mixer fitted with the paddle, beat the butter on low to medium-low speed for 1 minute, scraping the sides and beater if it gets stuck to them. Add the sugar and beat on medium-low until light and fluffy, up to 5 minutes. Beat in the eggs one at a time, waiting to add the next until the first is fully incorporated. With the mixer on low to medium-low, mix in ⅓ of the flour mixture. Add half the coconut milk. Then half of the remaining flour. Then the rest of the coconut milk. And finally, the rest of the flour. Spoon into prepared bundt pan and bake for 50-60 minutes, or until golden and a cake tester inserted in the center of a section comes out clean. Remove from oven and set on cooling rack for 10 minutes. Then place a plate over the top and invert, hopefully releasing the cake onto the plate. Cool completely before drizzling the glaze. Spoon over cooled cake, as desired. Post it before March 31, 2013. Link back to Lora’s and Anuradha’s announcement posts. Follow Bundt-a-Month on Facebook, where we feature all our gorgeous bundt cakes. Or head over to our Pinterest board for inspiration and choose from over 350 Bundt cake recipes. I love your your sand castle cake, so perfect for this month´s tropical theme! And gorgeous flavors too! Too bad you had to throw the mold out. Luckily, I have this one to replace the sand castle one! Eventually, I will get the metal pan version of the sand castle again, too. It’s always impressive. Love your cake mold! Always wondered how you cut that…do you cut the corner pieces off in squares, or what? We approached the cutting cautiously and ended up slicing along the sides of the square. Thank you! Lime is such an uplifting flavor, isn’t it? I have a Nordicware sandcastle bunt cake pan. It isn’t silicone and is nonstick. You may be able to find it online. I think I got it from William-Sonoma and they had a vanilla sandcastle recipe online. It’s on my list! The silicone one I had is the exact same design. That’s just the coolest cake pan. Yet another to add to my wish list. My niece would go crazy for a cake made in that pan. I’d love to have a slice of yours too. Awh, how sweet that your husband is buying you bundt pans. . I love that! I purchased all the ones I had for myself and before Christmas, bought 2 and told my husband that was what he got me for Christmas! 😛 Love your bundt! What a cool pan and what a gorgeous cake!! Love the glaze!! That is one cute bundt! I love that it’s in the shape of a sand castle. 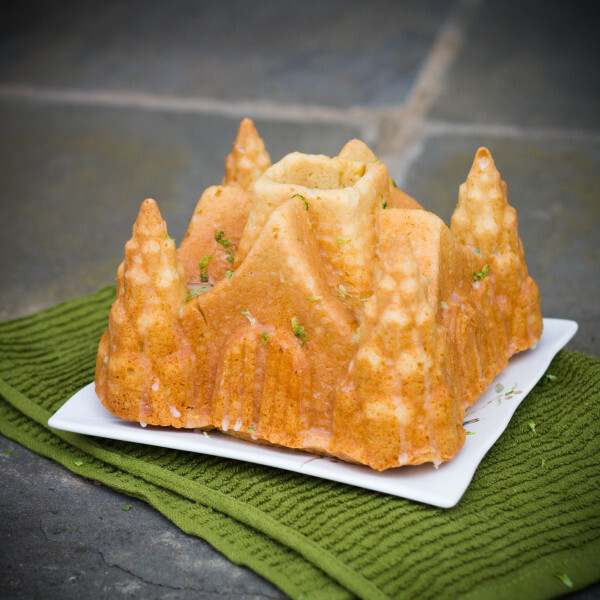 Your lime glazed Bundt is fit for a royal mermaid or princess! Hats off to the beautiful poet in the pantry! Mmmm that lime glaze sounds divine! Love the shape of your cake, I’ve never seen that cake mold at the store. Looks like a great cake! I will need a cabinet just for all my bundt pans…this is one shape I have to have! :)Perfect cake, Carrie. So lovely for our Tropical month. Thank you for being part of our baking group. I’m about out of room for all my bundt pans, and I want more! 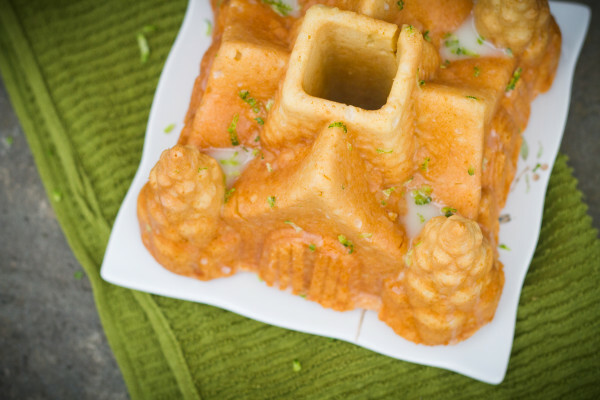 That fairy cottage Bundt pan still looks very much like a sand caste, Carrie! 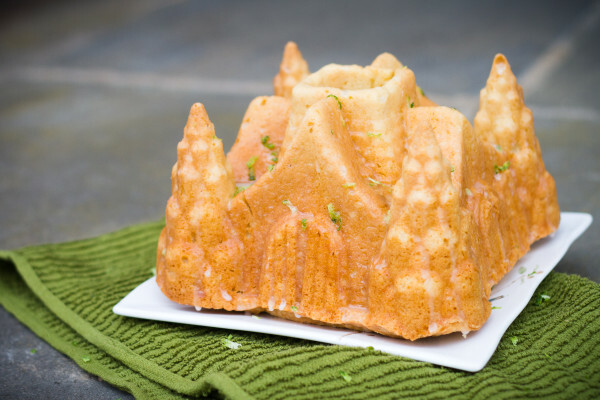 I love your lime glaze pooling in the corners and I’ll bet the cake itself is divine baked with coconut milk. Coconut is one of my favorite flavors! I would have gone stronger on the coconut flavor, but I have tendency to pick coconut and lime for everything tropical. 😉 Thank you for your kind words! I love citrus in desserts. Chocolate is nice, but a nice zesty lime cake is a good palate cleanser. And the cake mould you used is adorable! 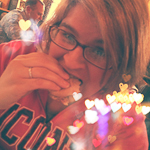 This is lovely Carrie! I love the coconut lime components and that shape is perfect for this month! Looks like a lot of us think coconut and lime when we think tropical. 😉 Thank you! LOVE this cake. Love all that lime–lime glazes are the best. Pinning! Thank you! Lime is pretty wonderful, isn’t it? !